Bar Cart. Amazing alternative for a wedding open bar. A really party on wheels. Stylish & useful, beautiful & diverse. 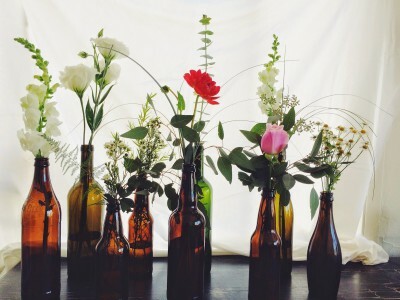 A unique way to deal with an alcohol display dilemma at your wedding! W hen it comes to Polish weddings, vast vodka supplies were a fundamental basic so far. It was said that you should never run out of it and a lot depends on it. However, more and more often engaged couples are looking for something more sophisticated than that. We all increasingly appreciate different kinds of alcohol, as well as other cultures of drinking. That is why more and more often engaged couples decide on an open bar. It surely is a wedding entertainment, fun and usefulness in one. Unfortunatelly, it may be quite expensive. Is there any alternative? Surprisingly, there is! And it is a really exciting one. A bar cart! I cannot just have enough of looking at those absolutely stunning arrangements, that perfectly complete every wedding theme. It does not matter whether you have chosen a color palette that define you event or any other element or fashion. There is always a way to match it with a bar cart. When I said it is an amazing alternative to an open bar, I really meant it. You really do not need a lot to arrange a wonderful bar cart display. Simply a bucket of ice, a couple of bottles of a chosen alcohol, some sodas, stylish glasses and a touch of decor. That’s all. Really. Moreover, it’s not engaging anyone for half of the night. You just have to choose one or two alcohol types and have a couple of bottles in hand. 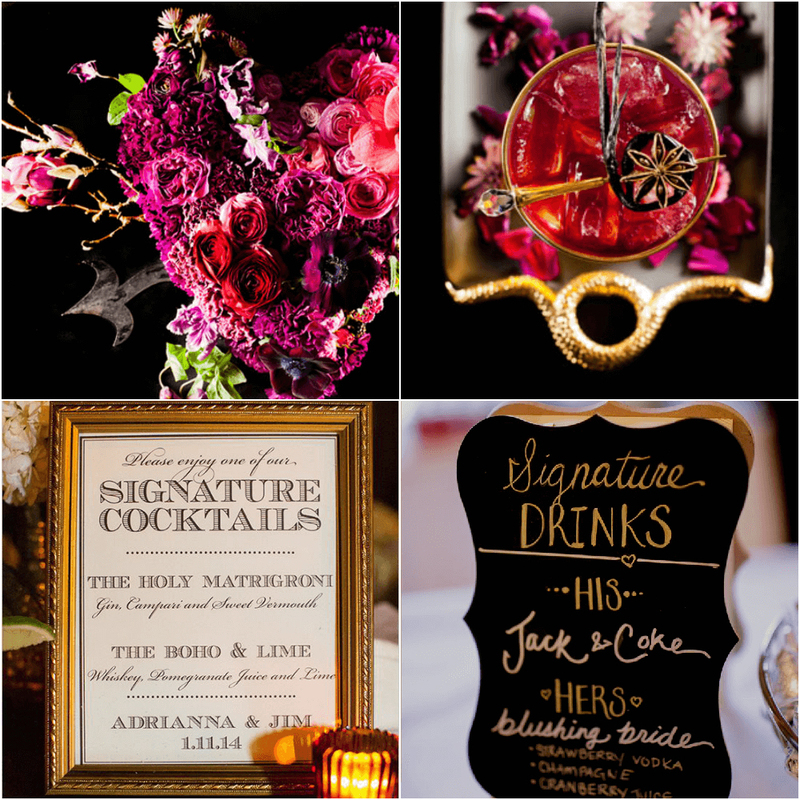 A bar cart would be a dreamed place to display you signature drinks! You do not have a bar cart yourself? Nothing to worry about! Ask your venue manager, if she can halp you with that. Hotels very often use them for a room service. If not, simply ask around. I am sure that some of your friends will be more than happy to borrow you one for the big day. Then it is a time to arrange your bar cart in a variety of ways. It can be classy, with gold & silver, mirror trays and elegant glass. 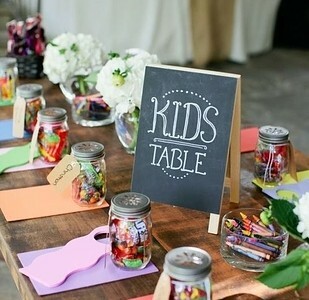 It can also be colorful and fun, with vibrant color cups and flowers, some boho pillows or balloons. Have a fun with your bar cart art. The choice of alcohol you can use is also endless. Even when you fill your cart with some bottles of beer the effect can be more than amazing. Just have a look at our inspirations boards. 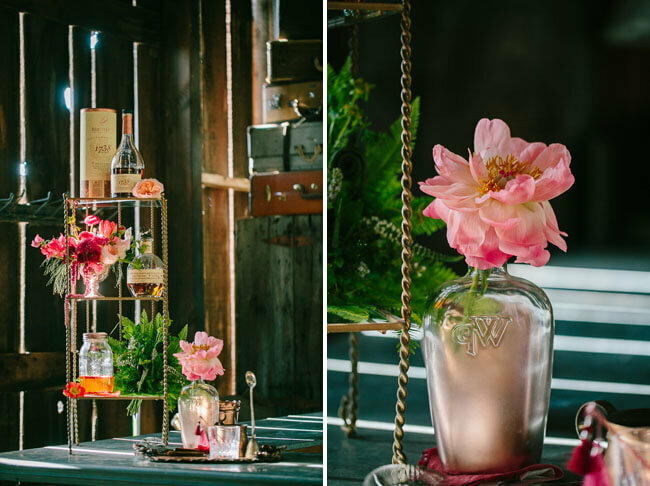 Remember, a bar cart is an outstanding idea for any other event. A bridal shower, bachelor party, baby shower or a rehearsal dinner. Wedding coloring book – your personalized adventure book for kids at the wedding.